Show how much of a fan you really are with a Tampa Bay Lightning Victory Cart Golf Bag! 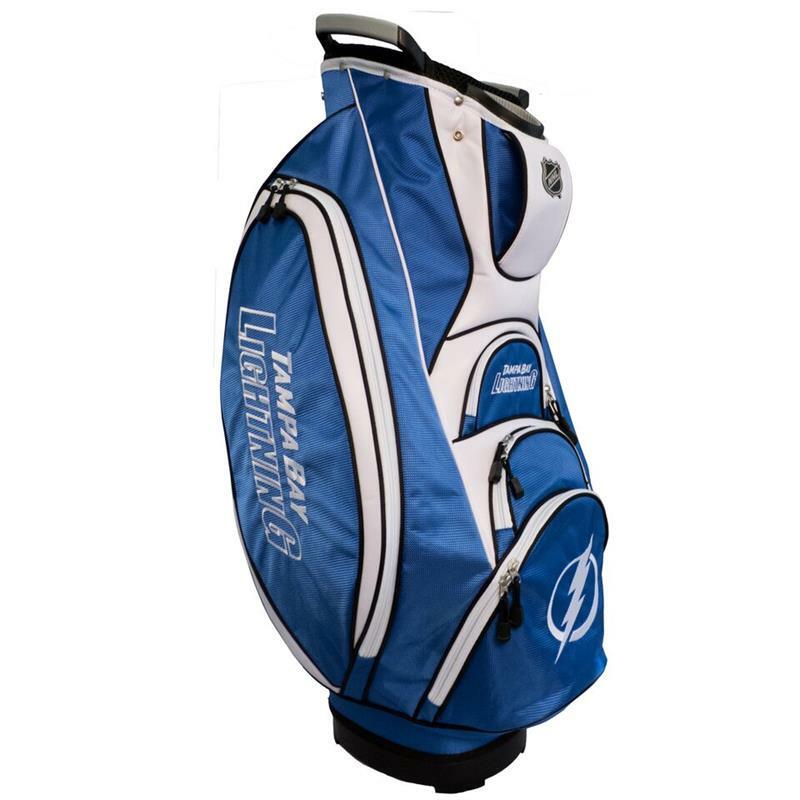 This bag is loaded with features, including an integrated dual handle top, 6 location embroidery, 5 zippered pockets, reinforced large external putter well, padded strap with strap pouch, fleece-lined valuables pouch, cooler pocket, removable rain hood, umbrella holder and towel ring. Made of durable 1800 denier nylon and buffalo vinyl.